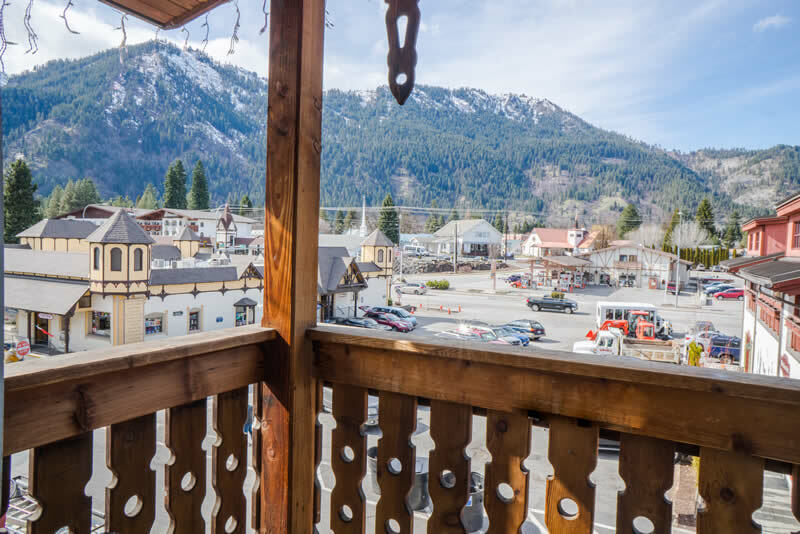 Nestled in a beautiful valley, surrounded by the Cascade mountain peaks that rise more than 8,000 feet, Leavenworth is Washington’s ‘Little Bavaria’, best known for its incredible year-round schedule of celebrations, festivals and events. 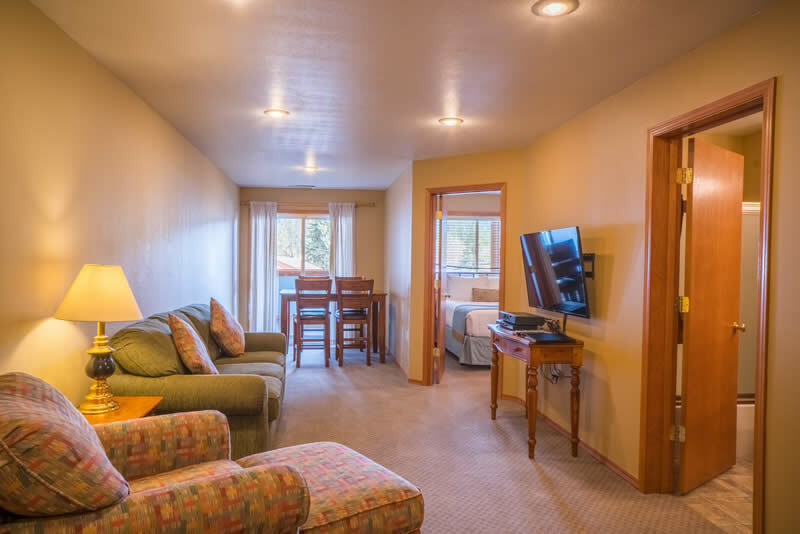 Cozy up to the fireplace in your beautiful suite when you choose to stay with us at the Dream House Suites, or step out onto your private balcony and take in the beautiful mountain views. 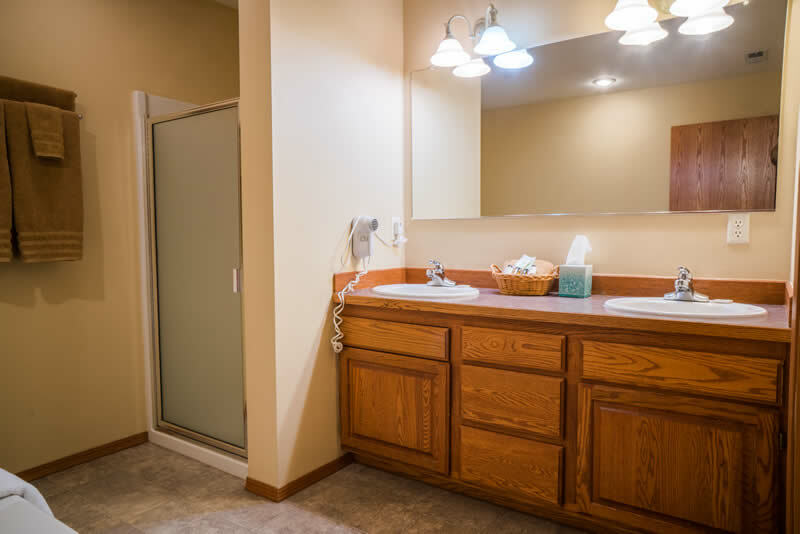 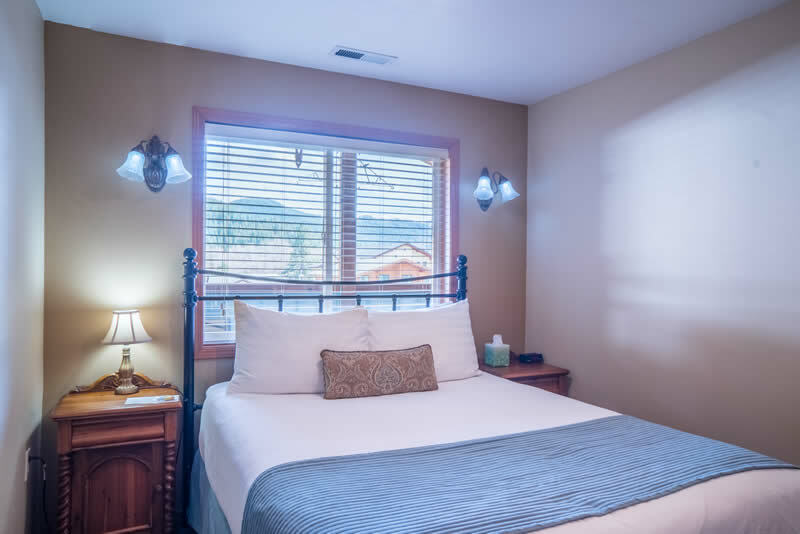 Located on Front Street, you are in the heart of Leavenworth, steps away from all the fun and activities. 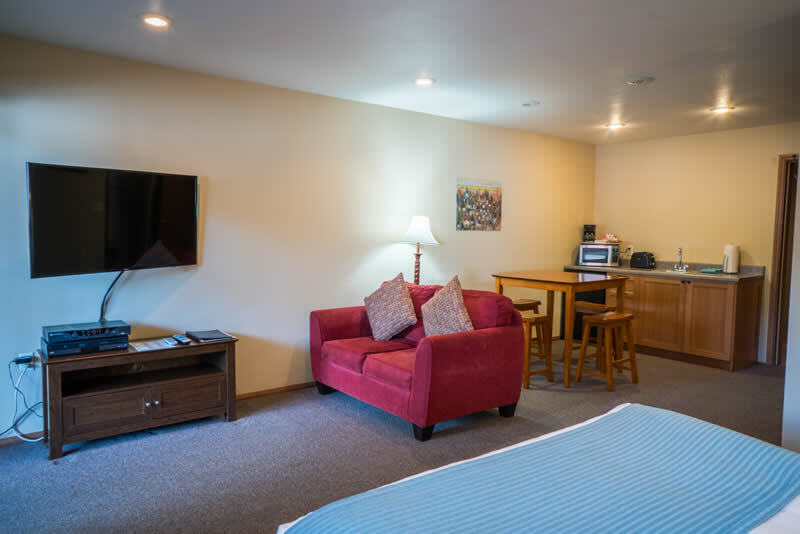 Suite 1 is a studio suite with a queen bed and kitchenette. 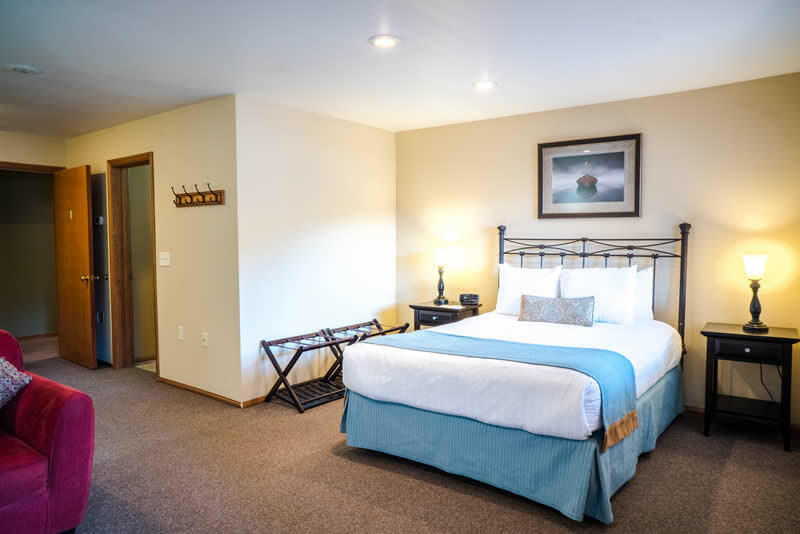 The suite has one queen bed, sleeping a total of two guests. 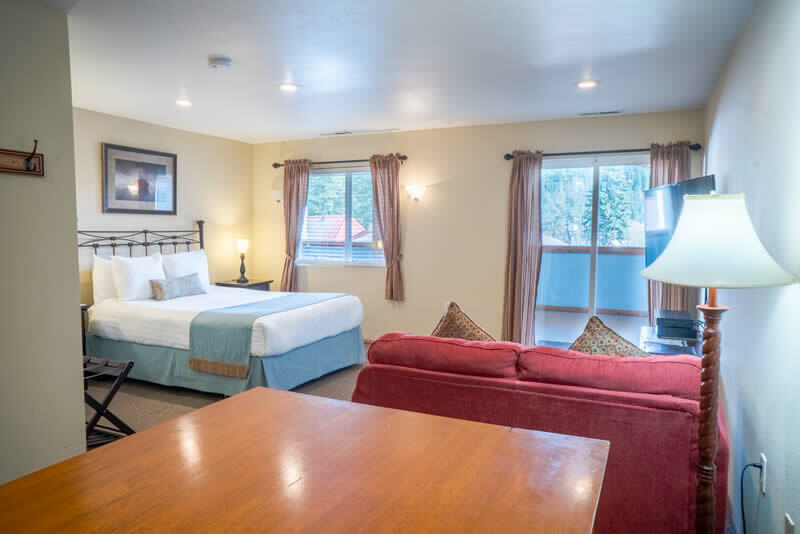 Spacious patio overlooks the mountains – patio is shared with Dream Suite 2. 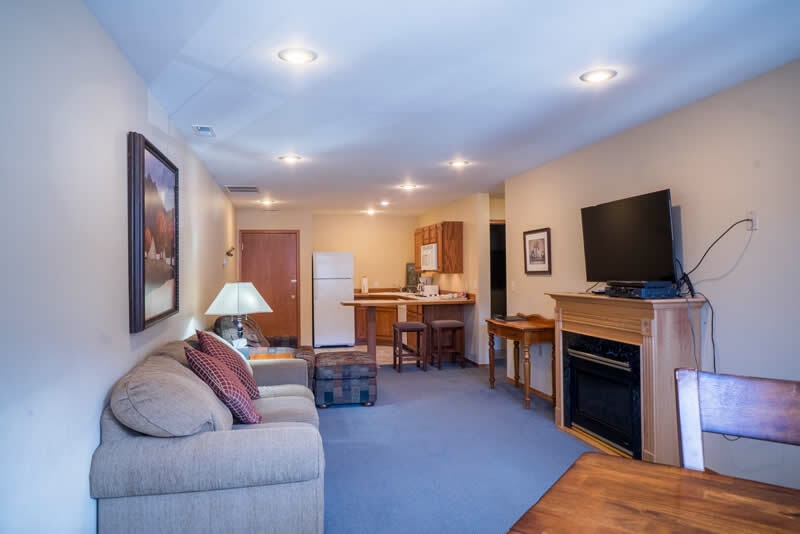 Living and dining area. 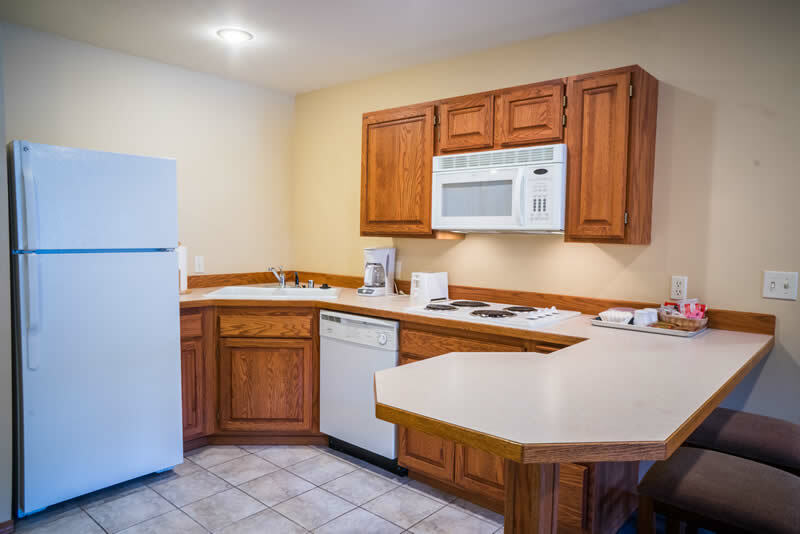 Breakfast is NOT included, but may be purchased at the Obertal Inn for $8+ per person. 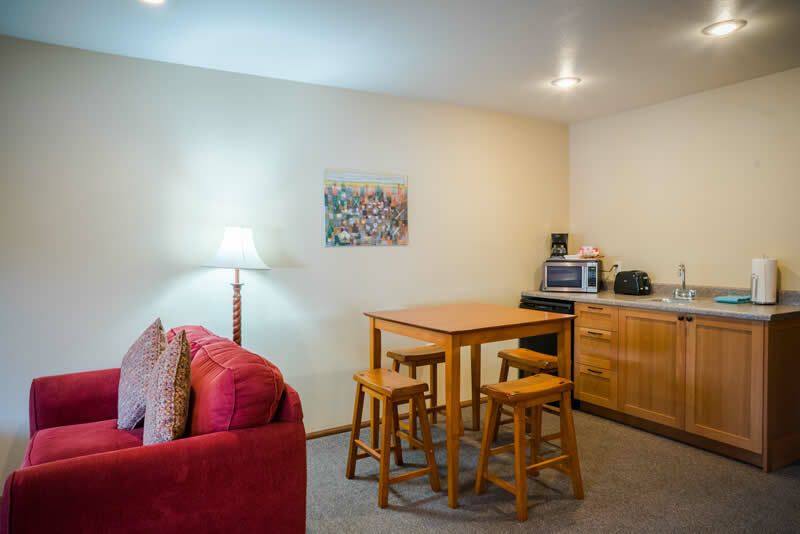 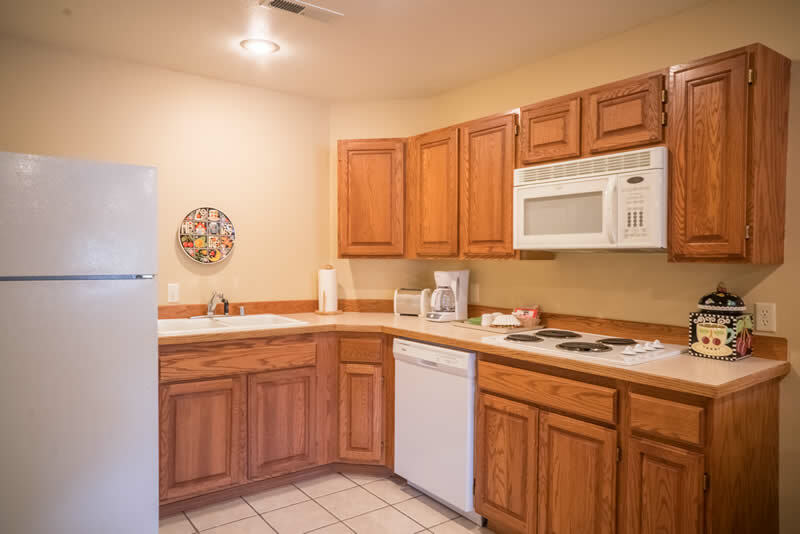 Suite 2 is a one bedroom suite with a full kitchen, a large living/dining room. 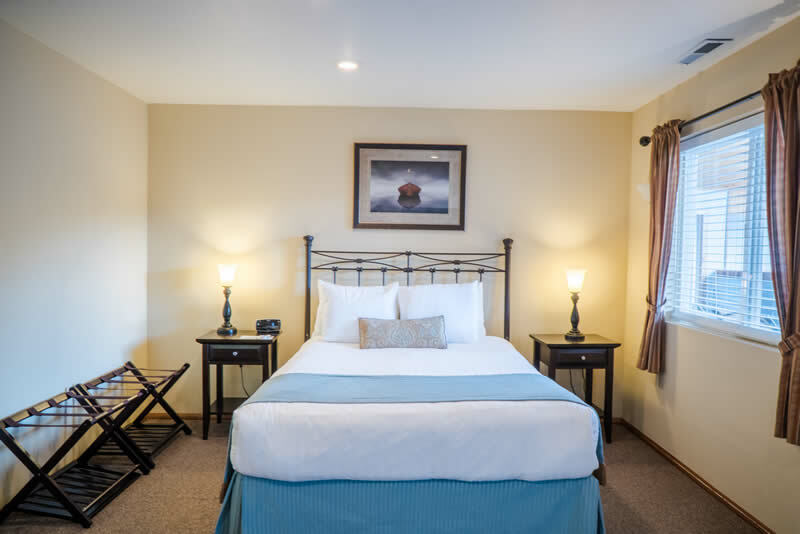 The suite has one queen bedroom, and a sleep sofa, sleeping a total of four guests. 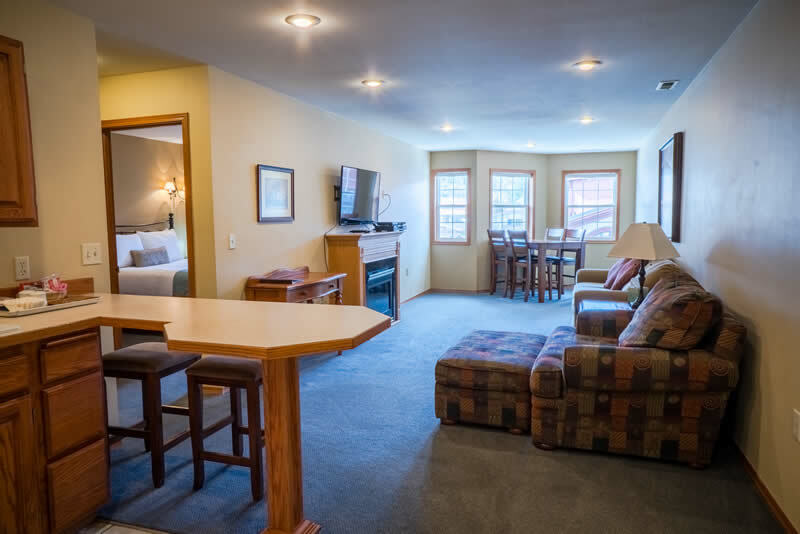 Spacious patio overlooking the mountains – shared with Dream Suite 1. 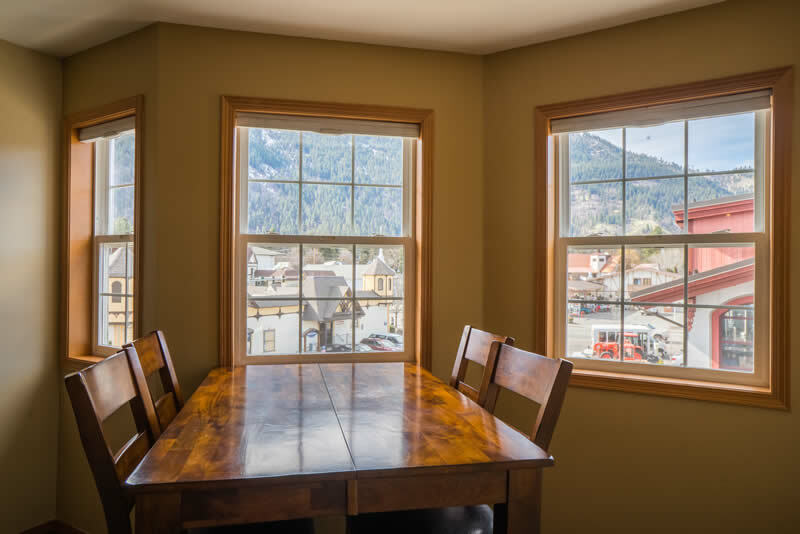 Dream Suite 3 is a one bedroom suite with a full kitchen, a large living/dining room with an electric fireplace, located in downtown Leavenworth, overlooking Front Street. 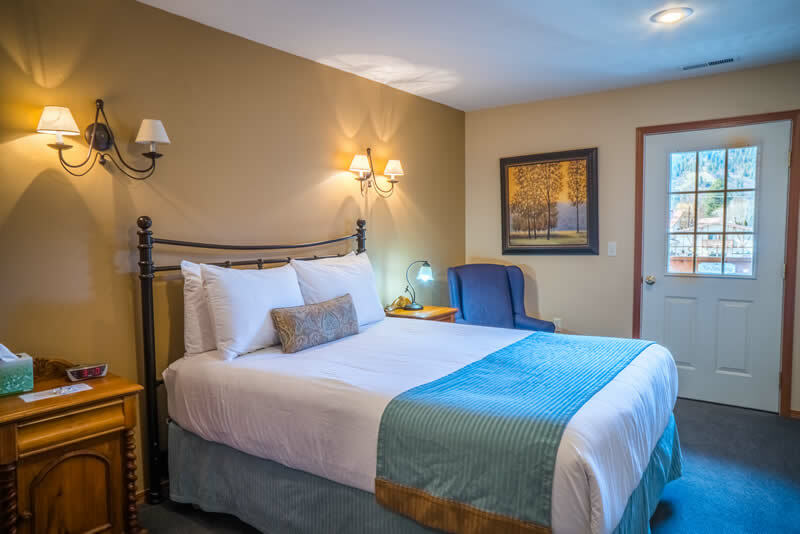 The suite has one queen bedroom, and a sleep sofa, sleeping a total of four guests. 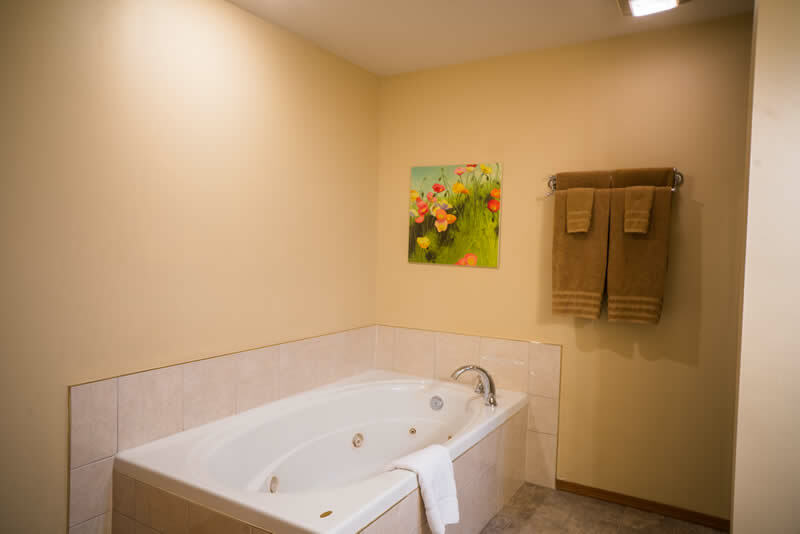 The bathroom has a Jacuzzi tub and separate shower. 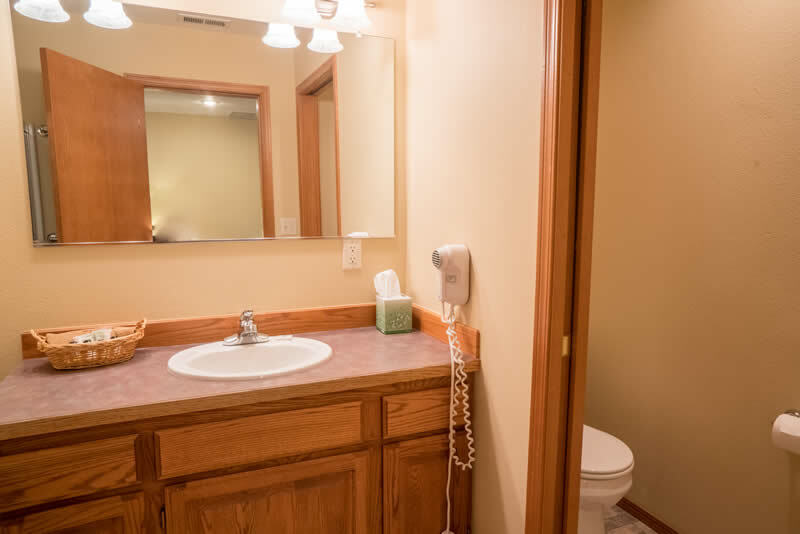 There is a private balcony with seating for two off the bedroom.